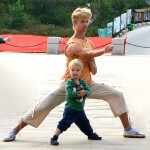 Master Chens Berlin workshop, June 4-5 is coming soon, and this time I will make a video interview with him. Now you have the opportunity to drop some questions, I will summarize and ask them in this interview. A good opportunity to get some personal questions answered. 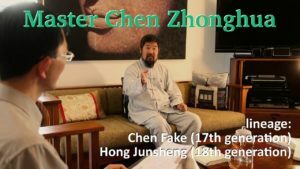 Master Chen Zhonghua is lineage holder of “Chen Style Taijiquan Practical Method”, a traditional school of Taijiquan (Tai Chi Quan), coming form the lineage Chen Fake – Hong Junsheng. Please use the comment function below to ask your question. By doing so, please also let me know your real name and use a valid e-mail address. 2 Kommentare auf "Collecting questions for an interview in June"